The Argyle Lions Club would like to welcome its newest member. 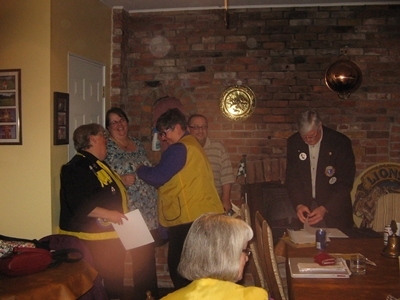 Lion Jane Forbes was sponsered by Lion Debbie Keetch and sworn in by Lion Julia Moore. 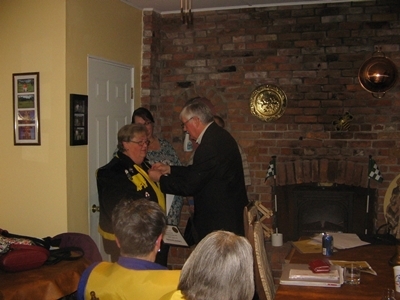 Congratulations to Hank and Helen Steunenberg the newest members of the Argyle Lions Club. Lions Hank and Helen where sponsored by Lions Wayne and Debbie Keetch and inducted by Lion Julia Moore. Again this year chain saw carver Sean Dunphy from Commanda Ontario has provided a chain saw carved bear for the Argyle Lions Club summer raffle. 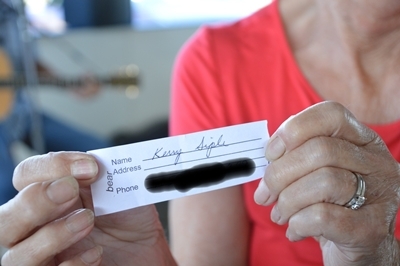 Tickets will be available from Lions Club Members, at the Lost Channel Inn and every Wed. at the Argyle Farmers Market. The draw will be held Wed. August 30th 2017 at the farmers market. Good Luck everyone. 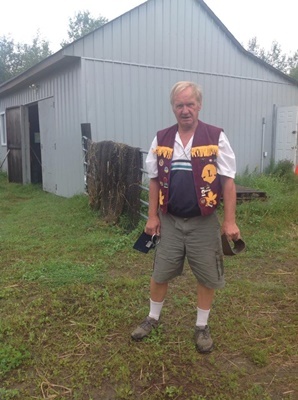 It is with great sorrow that the Argyle Lions Club has had to say good bye to one of its own. Lion Mark Peever passed away suddenly on Tuesday, June 14, 2017 at the North Bay Hospital at the age of 58 years. Lion Mark was dedicated to the Argyle Lions Club and always gave 100% in everything he did. In his 11 years as a Lion he held many positions including president and was club secretary at the time of his passing. he actively participated in all fundraising events, doing everything from washing pots to collecting food for the food bank. He will be greatly missed by all of the Argyle Lions Club members as well as the community who grew to know and respect him. Condolences go out to marks wife Line, his children and siblings, Rest in Peace Mark, you left us too soon. Big and small no one minded stopping for the Argyle Lions Club toll road this weekend. Thanks to everyone, your generosity is much appreciared. 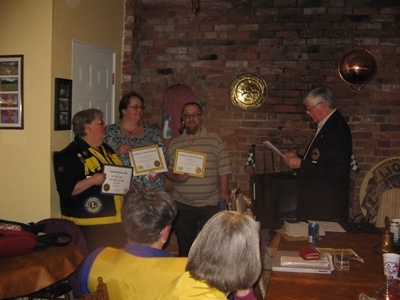 Argyle Lions Club would like to welcome our newest members, Lions Ron and Andrea Mcnabb. 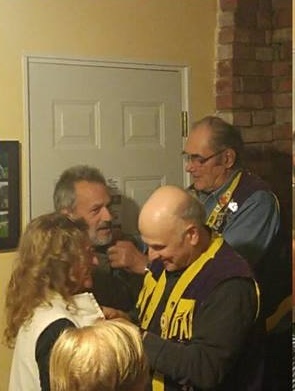 Lions Ron and Andrea were sponsored by Lion Debbie Keetch and sworn in by Zone 17 Central Chair Lion Howard Osborne from the Trout Creek Lions Club. 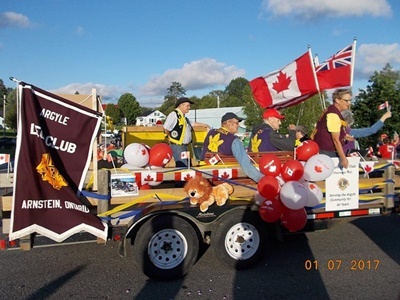 The Lions Clubs of District A5 Region 17 would like to thank Idealease from North Bay again this year for providing a truck for the annual toy run to Sudbury. It was a full house at the Argyle Community Centre for the Lions Seniors Appreciation Dinner.The Argyle Lions Club would like to thank the Local Service Board for partnering with us this year, the many volunteers that helped in the kitchen and Christopher Moore for the live entertainment. Also thanks to Jim Young for making a special appearance and helping to put everyone in the festive spirit. 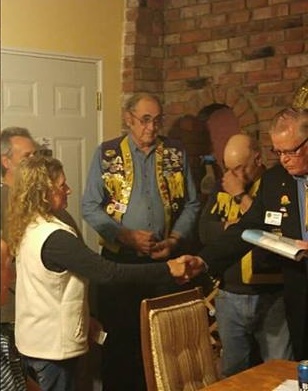 Welcome to our newest member Lion Cheryl Gidden. 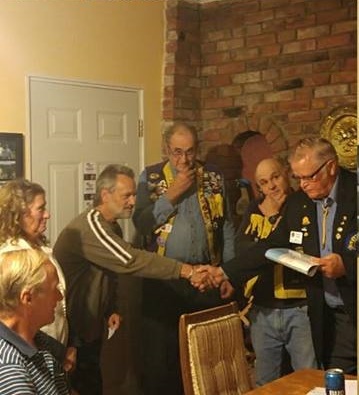 Lion Cheryl was sponsored by Lion Jeff Gidden an sworn in by 1st Vice District Governor Lion Steven Olsen from the Warren and District Lions Club. Thank you to local chain saw carver Sean Dunphy for his generous contribution to this years Lions Club summer raffle. Tickets will be available each week at the Argyle Farmers Market and from Lions Club members. 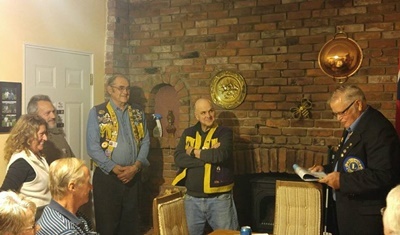 Argyle Lions Club would like to welcome our newest member Lion Jeff Gidden. 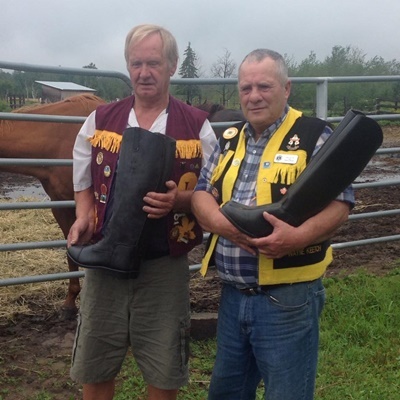 Lion Jeff was sponsored by Argyle Lion Murray Dobbs and sworn in by Lion Rod Dugas from the Restoule Lions Club.